Camarillo, CA - In honor of the recent passing of blues guitar legend B.B. King, Marshall Blonstein's Audio Fidelity will be releasing B.B. 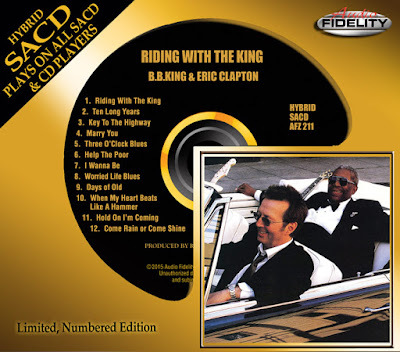 King & Eric Clapton Riding With The King on Limited Hybrid SACD. This SACD should satisfy fans of King, Clapton and blues purists alike. Riding With The King was Eric Clapton's and B.B. King's first collaborative recording and it went on to win the 2000 Grammy Award for Best Traditional Blues Album. The album reached #1 on Billboard's Top Blues Albums. 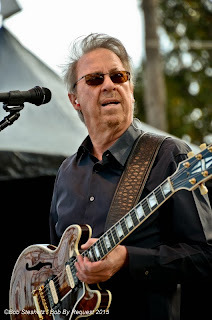 The set list includes lots of vintage King specialties, “Ten Long Years,” “Three O'Clock Blues,” “Days of Old,” “When My Heart Beats Like a Hammer,” as well as standards like “Hold On I'm Coming” and “Come Rain or Come Shine,” with some specially written and appropriate new material. King takes Clapton deeper into blues territory than he has ever gone alone and these two artists play the blues with conviction. There may never be another album that links the Delta Blues to modern rock with such style, grace, enthusiasm, and honesty. Anaheim, CA in January 2008. While the rain poured down outside Tuesday night, B.B. King dished out plenty of musical crying inside before a standing-room-only crowd packed in at the Rhythm Cafe in Santa Ana. 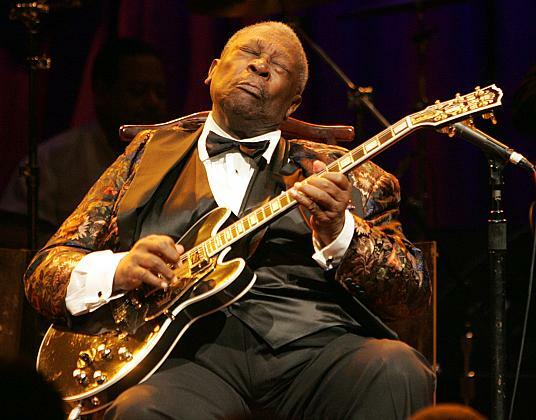 The famed singer, guitarist and composer – a native of Mississippi who made his recording debut back in 1949 – proved he isn't ready yet to hang up his beloved Gibson named Lucille. Dishing out blues throughout a gracious 11-song set in his first concert (he also played a second show at the club later in the evening), King showcased his distinctive singing and guitar style that have been a major force on the American blues scene for three decades. Backed by a tight eight-member band, King alternated between rollicking, uptempo numbers and slower, more melodic jams. He won over the crowd with his personable wit and charming smile. Throughout the night, he would frequently cup his hands to his ears to get applause for the other members of his group. But mostly it was his black six-string guitar that did the talking. In one solo after another, whether performing the rocking "Let the Good Times Roll" or more traditional slow-paced numbers, King demonstrated that his skills on the guitar are undiminished. A crowd of young and old cheered King from the beginning. In fact, when he came out he was greeted by a standing ovation. After finishing his final and most powerful song of the set, "The Thrill is Gone," King stood at the end of the stage and signed autographs for the dozens of fans who rushed the stage. Leon Warren's rhythm guitar playing added fire to King's playing throughout the set. The concert was an experience and sight not likely to be quickly forgotten. Opening act A.J. Croce, a pianist, singer and son of the late Jim Croce, who also favors the blues, started out slowly but gained momentum as his set went along. While he and his backing band sounded like nothing special in the opening song, "Smoking Good Time," Croce and company turned things around by the third tune. "Which Way, Steinway," an original Croce number describing having to perform a show without a piano, was an especially musical number that fused jazz and swing styles. In "Keep on Looking," he used the blues medium to sing of the pratfalls of rushing into marriage. Who: B.B. King Where: Rhythm Cafe in Santa Ana Background: The legendary blues guitarist performed two shows Tuesday night. It's always a good day when Neil Young announces another project...here is a media release that landed in my inbox today. May 26, 2015 - (Burbank, CA.) 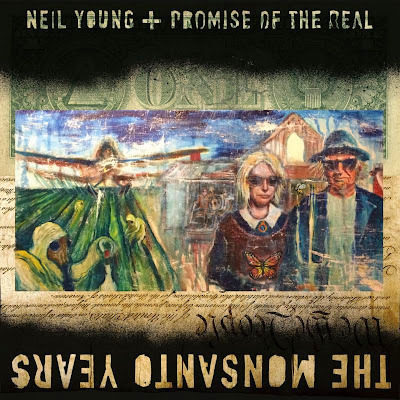 - Neil Young + Promise of the Real have joined forces and will release a new studio album, entitled The Monsanto Years, on June 29, 2015 via Reprise Records. The ecologically/environmentally-focused album will be released via all retailers and in the Neil Young Official Online Store. The Monsanto Years will be available in a special CD + DVD package, vinyl, iTunes, and PonoMusic high-resolution audio. The vinyl package will be released in August. Actual date to be announced shortly. Pre-orders begin today, May 26, 2015. Click here to pre-order. Beginning today, those who pre-order The Monsanto Years, will instantly receive downloads of two brand new tracks from the album: "Big Box" and "A Rock Star Bucks A Coffee Shop." You can view the video for "A Rock Star Bucks A Coffee Shop" right now at DemocracyNow.org. The Rebel Content Tour featuring Young + Promise of the Real will hit the road kicking off July 5 at Milwaukee Summer Fest. As previously mentioned, along with every ticket purchased online for Neil Young, you will receive your choice of the CD + DVD package or digital editions of The Monsanto Years. You will receive instructions via email on how to redeem your album on June 29. Offer is not valid for festival dates. Tickets are on sale now. The Rebel Content Tour will be an event Not-To-Be-Missed. Music Worth Buying: U2's 'Songs of Innocence' - time to rediscover the album again? U2 performing "Even Better Than the Real Thing" on "in Phoenix on May 22. U2 – no other band has ever worked so hard for so long to remain relevant. And as the Irish quartet proved in the first of two sold-out concerts at US Airways Center in Phoenix on Friday night (May 22), the 39-years-young foursome remains rock's reigning heavyweight (sorry Mick). U2's fusion of mind-blowing technological stage and dazzling state-of-the-art suspended sound system, and catalog matched by only a few Rock and Roll Hall of Famers tell only part of the story. The band's ability to touch, inspire and dream is also a part of any great U2 concert experience, and that is exactly what greeted the faithful for 140 glorious minutes in the Valley of the Sun. Casual concertgoers got a great show too (even if many of them only saw it via their smart phones). The design of U2's current Innocence & Experience Tour is impressive, from a ceiling-mounted sound design that brings equal clarity throughout the arena to a catwalk that runs the length of the venue with the band featured at various times on both ends and on a long catwalk. There is also a suspended gigantic projection screen that doubles as a footbridge where the band members perform while fusing their performance with images further empowering the songs. It all worked flawlessly in Phoenix. But all the futuristic theatrics and glitz wouldn't mean a thing without good music and, of course, U2 also had that covered. Opening with the spirited "The Miracle (Of Joey Ramone)" off the band's latest album Songs of Innocence (count yours truly as one who appreciated iTunes' gift last year), it was clear a strong-voiced and energetic Bono has mostly recovered from a serious November 2014 bicycle accident. That song – a reflection on the band's connection with its own past and falling in love with rock – was the perfect salvo to launch an opening half that celebrated U2's beginnings. "The Electric Co." (which was among the highlights at U2's set at the US Festival 32 years ago, the first time I caught the band live) was next, a high-octane post-punk anthem with Larry Mullen Jr. and Adam Clayton powering the rhythm section, while The Edge's soaring guitar work sounded crisp; Bono then recalled those early days of U2, blending a part of Judy Collins' "Send in the Clowns" and The Who's "I Can See For Miles" into the song. The band's first big success, "I Will Follow," was also featured early in the set. Because the band's latest album is focused on their past (specifically the north side of Dublin in the 1970s), new material filled the beginnings-minded first half. Walking out on the catwalk, Bono delivered his single best vocal of the night with the beautiful "Iris," a bittersweet song written for his mother (who died when he was 14 after suffering a cerebral aneurysm at her father's funeral). While he sang the song, images of stars soon gave way to photos and home movies of his late mother. Things then grew more intense as the band roared into "Cedarwood Road," a rocker that had Bono walking inside the suspended screen against artistic images of his Dublin youth while the Edge powered his electric guitar and moved below. A heartfelt version of "Song for Someone" (written by Bono for his wife Ali) and stripped down "Sunday Bloody Sunday" were other early highlights. Even better was "Until the End of the World," where U2 ended the first half with a blistering performance enhanced by visuals of the four performing in a raging sea. While songs throughout the generous concert often segued into each other, every song was its own statement. "Invisible," which opened the second half, had all four members performing inside the suspended screen with their images coming in and out of view; "Even Better Than the Real Thing" not only had many in the crowd moving to the beat but found the band members performing amidst larger-than-life projected images of themselves (irony galore!). But there were moments of simplicity too; a raw semi-acoustic "Desire" was just as memorable and featured Bono blowing on his blues harmonica. The only exception to the concert's perfect arc was when the band invited a fan up to play acoustic guitar on "In God's Country." The fan was overzealous and kept wanting to first hug the band members and then run around without regard for the performance. It was funny when the fan tried to approach Mullen; the drummer held up his drum sticks like a cross (as if Peter Cushing was warning off Christopher Lee's Dracula) and successfully warded off the crazed fan ("I want to thank our friend from Colorado," Bono said after the fan left the stage. "Ritalin is also good"). The incredible thing about the performance was the blend of huge special effects and intimate moments that connected 21st century U2 with the quartet's early '80s selves. Edge playing sparse piano while Bono sang the gorgeous "Every Breaking Wave"; a poignant "The Hands That Built America" flowing into a rousing "Pride (In the Name Of Love)"; a stunning "Beautiful Day" where the band performed while Earth was seen at night from orbit rotating above them. The house lights grew bright as the audience joined Bono in singing robustly along for "With or Without You," images of angelic Joshua Trees illuminated on the big screen. U2's encore continued to provide waves of magic, from the sparkling "City of Blinding Lights" and faithful "Where the Streets Have No Name" to the gospel-tinged night ending "I Still Haven't Found What I'm Looking For." "Why are we still here?" Bono rhetorically asked the crowd toward the end of the fast-moving night. "I think you answered the question tonight. There's still so much new for us to do." 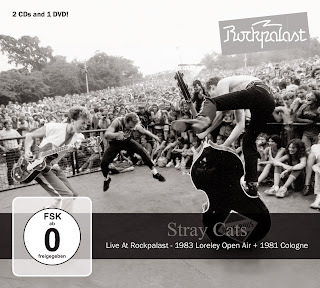 Stray Cats "Live At Rockpalast"
'81 and '83 Rockpalast concerts... Young, raw, and wild! Every era has its heroes and every scene has its legends. 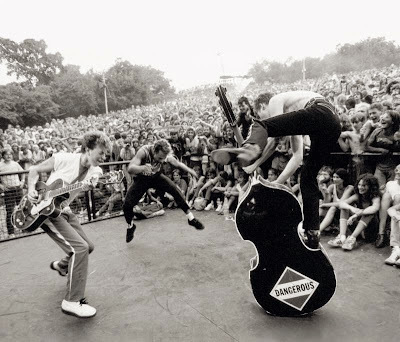 The 80's had the Stray Cats and today they are the indisputable icons of neo-rockabilly. When the US trio stormed the top of the charts in their adopted country of England, punk still reigned supreme in the United Kingdom. But Brian Setzer, Slim Jim Phantom and Lee Rocker brought that certain something that the mo-hawked men also had: a feeling for danger and rebellion. Impressive footage of this time includes two performances in Germany: one in 1981 in Cologne and one in 1983 at the Loreley that were recorded by WDR. These are genuine recordings that make the trio's sound still accessible today. Both concerts are released here for the first time in the best possible quality and with a superb sound on DVD and CD. The Stray Cats will come to life at home just as they were at their best: young, raw and wild! 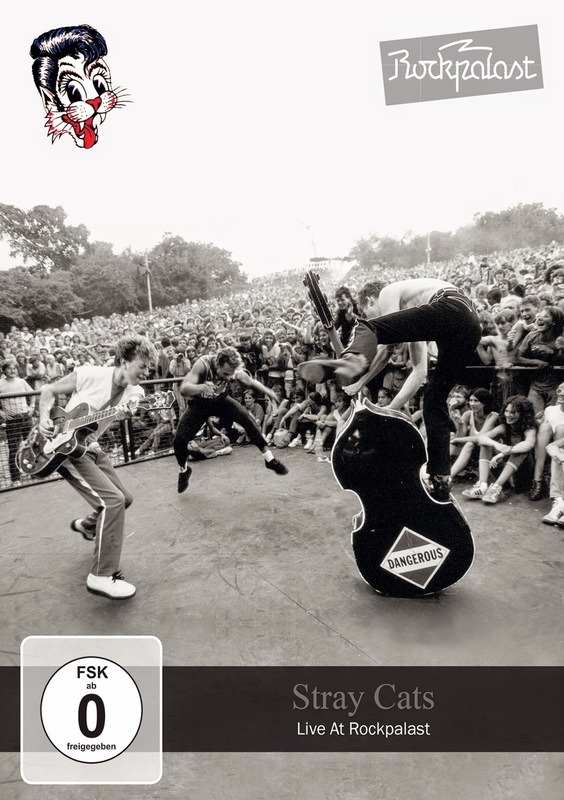 Brian Setzer, today a "statesman" of rockabilly and a many times platinum seller, works passionately as he struck the strings on the stage of the Cologne Satory Halls. He was a "rebel without a cause," similar to the young James Dean. But this guitarist has a desire: he wants to bring Rock n' Roll back to life. He wants to play his guitar as Eddie Cochran did. No question that he has succeeded; he is still loved for this today and this is why he is the first guitarist after the legendary Chet Atkins to have his own signature Gretsch model. The Stray Cats aren't only made up of Setzer with his phenomenal guitar playing and his powerful vocals. Lee Rocker and Slim Jim Phantom are responsible for their special sound, too: Phantom's simple drumming became an example for rockabilly drummers worldwide and his wild screams in the songs belong to Stray Cats exactly as Brian Setzer's licks and Lee Rocker's clattering bass do. He treated his instrument like a lover or like monkeybars on which he did gymnastics. The bad boy attitude was internalized by the "street cats." Both concerts also underline how rapidly Stray Cats' career progressed. Between both recordings were full worlds. In 1981 they were young rockers and by 1983 they had become full-fledged rock stars and known as tender teddy boys in part of the scene. The band rocked the mixed audience and were even honored by their discoverer Dave Edmunds. Next to Stray Cats were acts such as U2, Joe Cocker and Steve Miller. The influence Stray Cats had on music and fashion is in hindsight undeniable. Where would psychobilly legends such as Meteors or Demented are Go!, who were founded as a counter movement to rockabilly, be today? Would the sound of the 50s still be so popular today if the Stray Cats had not brought it back to life in the 80s? Classics like as "Stray Cat Strut," "Runaway Boys," "Rumble in Brighton," and "Rock This Town" will live forever through these two concert recordings. A native Mississippian now living in Los Angeles, Claire Holley began performing and writing songs in college, but released her first recordings while living in North Carolina. She began getting regular airplay on WUNC's "Back Porch Music," and her self-titled debut from Yep Roc Records was featured on NPR's Weekend Edition. A move to the west coast followed and, soon after, she began collaborating with directors on their film and play projects. Holley has released seven records, and her Powdercoat ep, a collaboration with Kristin Mooney, won the 2014 "Best in Popular Music" from the Mississippi Institute of Arts and Letters-Huffington Post called it "one of the year's loveliest recordings." 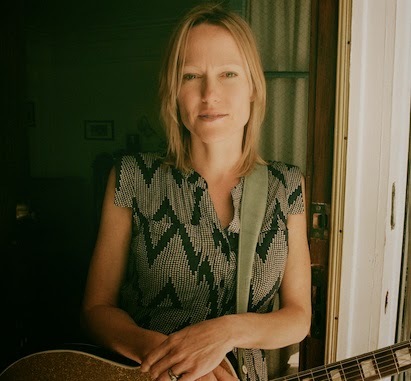 A tasteful vocalist and guitar player, Claire is an engaging performer and has sung at Merlefest, Mountain Stage, The Oxford American music series and a host of listening rooms around the country. Holley's forthcoming solo album, Time in the Middle, will be released June 2, 2015. Bringing a fierce yet tender edge to their luminous harmonies, von Grey spins a story of unreciprocated longing on the EP’s first single, “Katie,” which will be released on May 12. The lyric video for “Katie” can be viewed HERE. 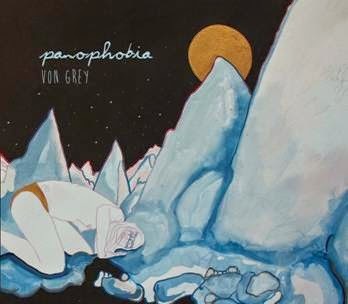 von Grey – made up of sisters Annika (vocals, violin, guitar, keys), Fiona (vocals, guitar, violin, percussion), Petra (keys, electronic percussion, background vocals) and Kathryn (cello, bass pedals, keys, background vocals) – will be touring widely in support of Panophobia. Summer tour dates will be announced soon. The Atlanta-based band has toured nationally with the Indigo Girls, Lindsey Stirling, Ron Pope and Rusted Root, among others, and performed at such festivals as Bonnaroo, Austin City Limits, SXSW, Gathering of the Vibes and Shaky Knees. While the EP’s title means “fear of everything” and reflects “the theme of insecurity or uncertainty threaded throughout the songs,” as Annika explains, Panophobia in fact represents von Grey’s bold and undaunted progression into new sonic terrain. “In making the EP, we really broke our patterns and worked with different sounds and textures that viscerally connected with us,” Annika says. The death of blues music great B.B. King just days before the arrival of the 18th edition of the Doheny Blues Festival meant that the annual celebration in Dana Point, CA would likely find a number of performers offering fitting tributes to the King of the Blues. That proved to be the case throughout the two-day festival (May 16-17, 2015) with just about every performer either acknowledging Riley B. King or even covering (or dedicating) a song in his honor. Not only was King rightfully considered "The King of the Blues," he had performed at the Doheny Blues Festival three times in the past - most recently in May 2009 (You can read my Orange County Register review of King's set at the 12th edition of Doheny Blues Fest here). Then Raitt took over lead vocals on a song that both she and King have each featured in their live shows, the spirited Chicago blues rocker “Never Make Your Move Too Soon.” Raitt’s spicy lead vocals and slide work anchored the performance, but there was a swelling point where Finnigan and guitarist George Marinelli did a tandem solo section capturing the unspoken sentiment of the sadness of King’s departure mixed with the joy that he gave so much in his amazing career. 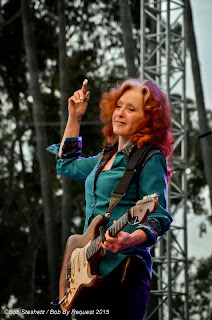 Raitt’s full 90-minute performance was a triumph, in part because of her enduring talents as a singer and slide guitarist, but also for her unique gifts as an artist able to interpret great songs. I caught all or part of 19 sets over the two-day fest and few moments were as powerful as her tender renditions of John Prine’s “Angel From Montgomery,” “I Can't Make You Love Me” (penned by Mike Reid and Allen Shamblin) and “Dimming of the Day” (a Richard Thompson song she dedicated to her late brother Steve). 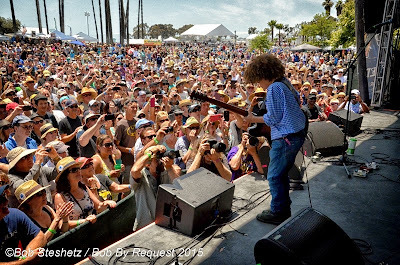 Although Raitt's set was the final one to play out over the 18th edition of the Doheny Blues Festival, it proved to be just one of many memorable appearances to play out on the three stages along the shores of the Pacific Ocean at beautiful Doheny State Beach. 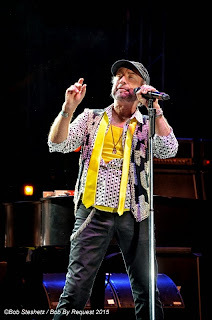 Paul Rodgers headlines day 1. 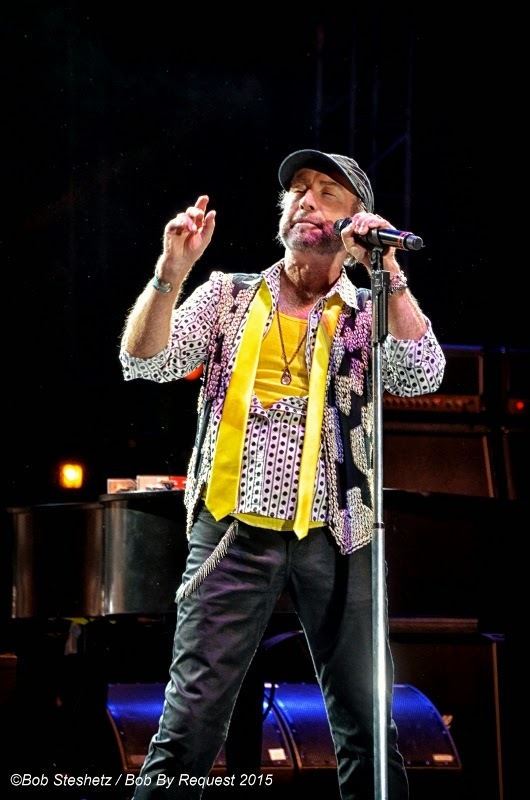 The legendary rocker Paul Rodgers headlined on the Doheny Stage on the first day of the event, performing a 90-minute set that covered his 45-year career in spades. Armed with loads of hits, a life-long appreciation of the blues that gave birth to Free, Bad Company and The Firm, Rodgers brought all those elements together during his set. With Rock and Roll Hall of Fame guitarist Howard Leese (of Heart fame) by his side and a solid rhythm section in tow, the set couldn't have been stronger. Rodgers has long since recognized that the enduring power of his songs is rooted in their connection with the audience, so his live performances thrive on sing-along crowds like the great one on hand in Dana Point. While it's no surprise fans were screaming along with Bad Company rockers like "Can't Get Enough," "Shooting Star" and "Feel Like Makin' Love," what was more impressive were the moments when the audience dove head first in singing along with little or not prompting during "Run With the Pack" and "Burnin' Sky." Rodgers also celebrated the release of his most recent album (2014's "The Royal Sessions") with a potent performance of "Born Under a Bad Sign," a Memphis blues song that allowed the 65-years-young singer to showcase his amazing pipes. Rodgers' fast-moving set closed with a rousing version of the Free classic "All Right Now" and a British blues-drenched take on the T-Bone Walker classic "Stormy Monday." Rodgers' impressive first-time appearance at Doheny was icing on the cake for Saturday concertgoers; the day had featured a number of fine performances on all three stages. Shari Puorto had kicked things off before noon on the Backporch, blending blues and funk while backed by a solid four-man band. An early highlight was "Out Of My Mind," a Texas-styled uptempo number where she got out onto the tables to get the party started on a high note. The early afternoon was bolstered by strong outings from Swedish outfit Trickbag (experts on extolling Chicago blues) on the Sailor Jerry Stage, and then Eric Lindell teaming with Texas guitar great Anson Funderburgh offering up more than an hour of great blues on the Backporch. I only caught a bit of the North Mississippi Allstars, but was fully impressed with the group's high-octane slide-guitar blues. Those artists set the stage for some of the heavy hitters, including Los Lobos, whose understated approach doesn't always provide a great display at a big outdoor concert setting. The group's decision not to play their biggest hits – namely "Will the Wolf Survive?" and their cover of "La Bamba" - was also puzzling. Still, music lovers had to be pleased with the East Los Angeles-spawned troupe's '50s styled rocker "Evangeline" and the Southern-fried blues gem "Kiko and the Lavender Moon." Guitarist Eddie Perez of The Mavericks. In addition to Rodgers' night-ending set, my favorite appearance on day one was The Mavericks. 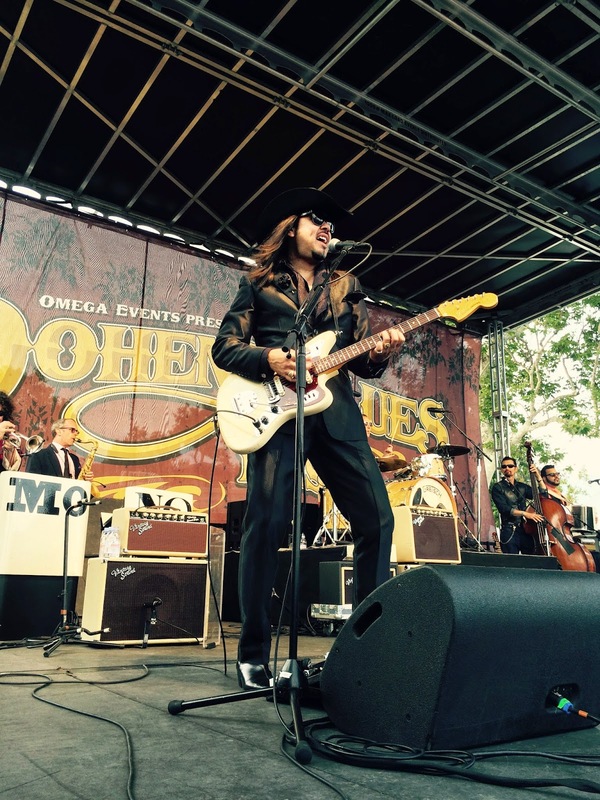 Although the band's sound touches on the blues, the Mavericks' sound is rich in an eclectic brew that includes Americana, Latin, folk, Tex-Mex and rockabilly. No matter how one might describe the band, the Mavericks delivered an incredible 75-minute performance on the Jerry Sailor stage. Featuring material off their two most recent LPs (2013's "In Time" and 2015's "Mono"), singer-rhythm guitarist Raul Malo, lead guitarist Eddie Perez and keyboardist Jerry Dale McFadden led the band through standouts such as the instantly-infectious "What You Do To Me" and "Back in Your Arms Again" early on, with latter-half classics such as an amazing cover of Roy Orbison's "Blue Bayou" and rousing "Dance in the Moonlight" thrilling new and long-time fans - many of whom (like yours truly) who were on their feet for the entire set. In addition to the aforementioned Raitt, there were two other Sunday sets that were as powerful, both playing out on the Sailor Jerry Stage. An early afternoon set by Otis Taylor was powerful from start to finish, highlighted by the explosive power of Taylor's four-member band (featuring outstanding fiddler Anne Harris) and 12-year-old guest Brandon “Taz” Niederauer (who simply amazed everyone in the crowd). The young New York guitarist delivered artful, speedy and powerful rhythm and lead guitar work throughout the 65-minute set. Hypnotic versions of “Hey Joe,” “Red Meat” and the explosive “Rain So Hard” were among the songs where Taylor, “Taz” and the musicians thrilled a crowd packed in front of the stage. Delivering solid sets that nevertheless didn’t rise to the level of the day's best were blue-eyed soul soft-rocker Boz Scaggs (making his best showing with an energetic “Lido Shuffle”) and blues-rocker Beth Hart (displaying her strong soprano on “Might As Well Smile”). Doheny Blues Festival is always a place where fans can catch a wide-ranging field of artists who cover the genre’s far corners. On Sunday, Chicago blues lovers got excellent turns from Big Jon Atkinson and the Nationals, and Lurrie Bell. Austin singer-guitarist Carolyn Wonderland performed her affecting Texas blues-rock brew on the Backporch Stage, while a little later the Rebirth Brass Band brought a New Orleans-styled party to the main Doheny Stage. 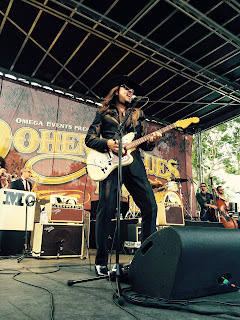 You can more details about the 2015 Doheny Blues Festival via writer George A. Paul's review posted on his Music Minded blog here. NEW YORK, NY (May 19, 2015) – On one special night last November, an extraordinary collection of artists came together at the historic Fox Theatre in Atlanta, GA to perform and celebrate the songs of Lynyrd Skynyrd, one of the most influential bands of our time. This unique concert event centered around performances by Lynyrd Skynyrd, including a special rendition of “Travelin’ Man” with Johnny Van Zant singing along with an archival video of his late brother, Ronnie performing, as well as a rousing rendition of “Sweet Home Alabama” with Skynyrd inviting the entire star-studded line-up up on stage to perform along side them. 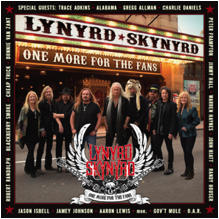 The show will be available July 24, 2105 as a two CD/DVD set titled Lynyrd Skynyrd - One More For The Fans on Loud & Proud Records in partnership with Blackbird Presents. The band will also be hitting the road this spring and summer (tour dates below) and will return to the CMT Crossroads stage for a taping with Brantley Gilbert. One More For The Fans features performances by Lynyrd Skynyrd as well as music legends and young talent, culled from multiple genres including Classic Rock, Country and Americana with Trace Adkins, Alabama, Gregg Allman, Blackberry Smoke, Cheap Trick, Charlie Daniels, Peter Frampton, Gov’t Mule, Warren Haynes, John Hiatt, Randy Houser, Jason Isbell, Jamey Johnson, Aaron Lewis, moe., O.A.R., Robert Randolph and Donnie Van Zant all coming together to perform songs from Lynyrd Skynyrd’s extensive catalog of music. Joining in the celebration of the legendary band is AXS TV as it serves as the official broadcaster of Lynyrd Skynyrd - One More For The Fans. AXS TV will premiere the concert event on Sunday, July 19 at 8:00pm EST / 5:00pm PST, allowing fans nationwide to enjoy these remarkable performances.